The California Clean Energy Jobs Act (Proposition 39) closed tax loopholes on multi-state corporations and raised taxes to fund energy-efficiency projects that would create clean energy jobs. Voters approved this measure in 2012 by a large margin. Nevertheless, of the 11,000 jobs that were initially estimated only 1,700 have been created and most of these jobs have gone to consultants and auditors. Furthermore, the oversight board for this initiative has never met. – Not a single project has been completed in the Los Angeles School District which received $12.6 million for energy saving upgrades. – The State Energy Commission could not provide any data or calculate energy savings. – There are large discrepancies between estimated savings and the savings that will result from the projects that are being implemented. – Most of the projects are lighting retrofits which are not labor intensive. – School districts are not required to report results for up to 15 months after completion. – About $153 million has been used to cover consulting and auditing costs. – Proposition 39 has been bringing in less money than had been expected. This measure was created with the goal of protecting jobs in California and to create new ones as well. 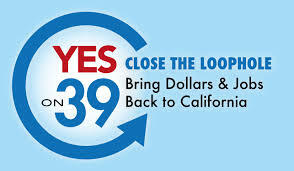 However, it is evident that Proposition 39 has not created the amount of jobs it intended. Likewise, it has not been able to raise enough revenue because most companies have adapted to the new circumstances to minimize the tax burden. In addition, supervision has been extremely lax; the oversight board should have been more actively involved in all the stages of the process and not wait until the funds have been used to evaluate the effectiveness of this program.